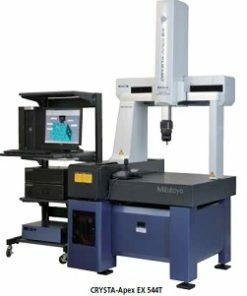 Automated DCC CMMs or Direct Computer Control Coordinate Measuring Machines are economical, reliable, and fast. They enable excellent repeatability without needing excessive adjustments. It has the capability to inspect more than one production part; part inspection programs can be programmed off-line or ‘learnt’ by inspecting the pilot production part. 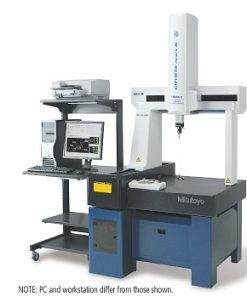 This cmm metrology measuring equipment is a must-have in any modern shop floor as it increases productivity and can inspect large quantities of production parts. Whether you need to measure a set of critical features for an entire lot or get statistical samples for analysis, you won’t go wrong by using the automated DCC CMMs we carry. 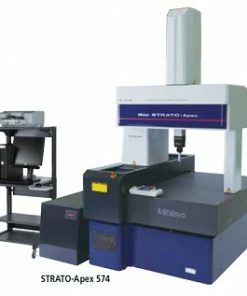 Check out Mitutoyo CMMs offering the world’s most accurate CMMs. Shop Floor CMMs are also available. Willrich Precision was founded in 1971, and does not simply observe measurement trends – we are always one step ahead of the trend curve. 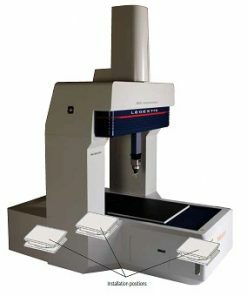 We continually strive to keep our comprehensive inventory up-to-date with the latest DCC CMMs (automated CMM) systems. What’s more, we are highly committed to providing the best deals online so you save more while buying quality products that satisfy your measurement needs. For nearly five decades, our company has been serving the gaging, inspection, and metrology industry by practicing a client-first approach. We promise that we will put our passion and resources into providing exceptional after-sales support to the best of our abilities. 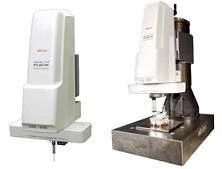 Start browsing through our inventory now and let our carefully picked DCC Coordinate Measuring Macgines (automated CMM) systems do the talking.